Forex trading can be exciting as well as educational. It offers traders many opportunities to earn good profits. However, many traders still fail to survive, or “make it big” in this market. In fact, a large percentage of Forex traders regularly lose money. Learning to trade successfully, especially Forex trading, can prove to be very difficult at times. 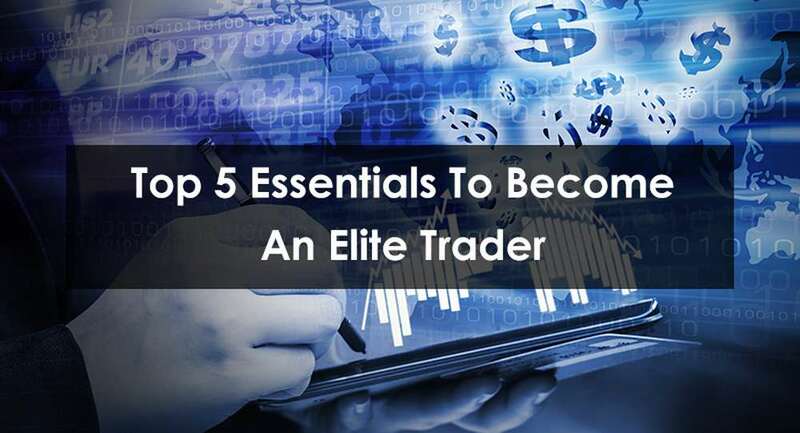 This article aims to highlight a few practices that can aid you in becoming an elite trader. The first thing in elite Forex trading is to be realistic and be clear about what you desire to achieve. Your starting goals should be attainable. Moreover, the goals should be quantifiable i.e. they should be measurable in numbers. For example, you can set up a goal to achieve 20% annual returns over your investments, or earn a profit of 5000 USD by the year end. The goals should also be sustainable so you can pursue them over long periods of time. Some traders starting with Forex trading set up unrealistic goals and fail to achieve them on a consistent basis. They tend to lose hope as they start losing money in the trading process and give up. It’s important to know like any other business, Forex trading has its ups and downs. You could be earning a good profit one day, and suffer a loss on another. Soto become an elite trader set up achievable goals and pursue them over time. Forex trading can be difficult for beginners entering the Forex market. Even professional traders tend to make wrong decisions at times and suffer loses. The Forex market can be complex to understand. However, if you’ve conversant with the market dynamics and know how they influence the trading process, you can greatly reduce your risks. The first step in becoming an elite trader is to get your basics right. Pick up Forex knowledge in bits and pieces and try experimenting with different strategies and methods until you get it right. Get a knowledgeable and reliable mentor or start with an elite FX trading course before starting full-fledged with Forex trading. Understanding Forex basics is a “must.” An elite trader course can go a long way in helping you understand the basics and availing important insights into the Forex process before you start with actual trading. Forex trading is about responding to trading opportunities in time. One of the vital steps in becoming an elite trader is to be an opportunist and seize lucrative trading chances as and when they come. Successful trader don’t put off work. They prefer completing a task today rather than postponing it for the next day. While trading in Forex, this attitude towards work can often spell the difference between a handsome profit and a missed opportunity. The Forex market is dynamic and highly volatile. Trading can be risky if you invest in the wrong currencies at the wrong time. One of the key factors in doing successful elite Forex trading is to understand and identify risks, and try to mitigate them in time before they start affecting your profit margins. Rather than investing huge amounts upfront in the market, it’s better to start with small amounts and increase your trading activities over time. That way you can identify trading opportunities that’re risky and avoid them. To err is human. People make mistakes. However, in Forex trading a single mistake can cost you dearly. While it may be impossible to be “perfect” at all times and not make mistakes at all, it’s certainly possible to device an effective error correction “mechanism” to avoid repeating them in the future. A good way to do this is to record both your success as well as your failures and study them from time to time. Try retrospecting what you could’ve done differently to avoid making those mistakes. And conversely, how you can improve more upon what things work for you. Elite forex trading can be difficult if you’re new to the Forex market or lack proper experience to be successful. A few pointers can help you to bea more successful elite trader. Choosing a good elite trader course can help you save time and significantly reduce your trading risks. It’s a great way to get started with Forex trading or improve upon your existing Forex trading skills and become an elite Forex trader. Nisha Patel:- Traders love to talk about trading, but it is important to define your trading talk. Successful Forex and crypto traders that fail in trading are because they look at the markets in a different way.